AVO Domaine was crafted as the most personal blend for the man himself—Avo Uvezian. Domaine makes use of intricately rolled sizes and refined tobaccos—including hand-picked leaves from Avo's private estate—to create a rich character worthy of Uvezian's legendary palate. 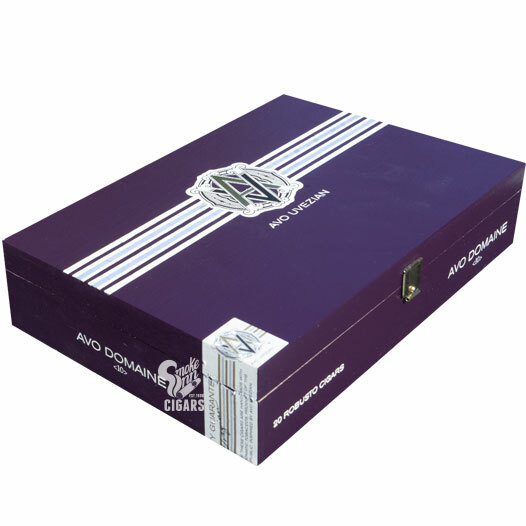 Dominican binder and filler leaves are balanced with a choice selection of a sun-grown, Cuban-seed, Ecuadorian Connecticut hybrid wrapper. This combination amplifies the traditionally mild character of AVO cigars, showcasing concentrated flavors that are able to cut through even the most worn palates. AVO Domaine clocks in at medium in body, beginning with floral and citrus flavors, and expanding to include complexities of sweet chocolate, earth, salted butter, and rich coffee beans.